Do you know that there are many online travel agency which are not legal ?How to check it ? How to know if your travel agency will provide you serenity and safety or not ? Here are some tips which are going to help you. 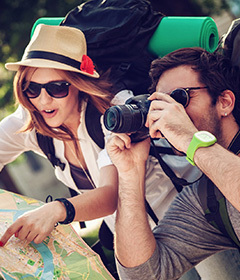 Before traveling, a traveler should look for the best travel website made for him or her, However, a travel should search deeply before making his or her decision. First of all, a traveler should know all about travel regulations. To avoid bad surprises, travelers should be aware of what is right and what is wrong. Secondly, a traveler should check their bookings and their registrations. While booking, a traveler should make sure all bookings are legal. They shoul ask the hostels for example about their collaboration with the travel agency. Finally, travelers should compare rates and mode of payments not to be ripped off. So, travelers shoul be very careful. The most important thing to do for a traveler is not to decide too quickly. Travelers should take theri time to make befor deciding. In addition to that, legal online travel agencies are will accept every thing you are asking for. A traveler should ask all about the website before dealing with it. To avoid regret and disapointmant, travel forums are there for those who want the opinions or the advices of other travelers. Besides, travel forums are the best places for removing doubts and may be used as checklist. They are a grat help for travelers. As a conclusion, a tourist should not neglect some steps. Before traveling, they should be sure they are makeung the right decision. They should check all about travel laws. They should consider the fact that there are dishonest websites which only want to make profits. So, travelers shoul also check the agency’s process for booking. They should know in advance thei mode fo payment. Besides, travelers should ask further informations in travel forums. They may ask about their frind’s advices and opinions. To sum up, travelers should be very careful not to cope difficulties. It is better prevent than cure.